I wrote last year about how to find the save location for Minecraft world in Windows 10 and back them up manually. Eleven months later in 2018 I’ve been back doing some Minecraft maintenance on my daughters’ laptop, and I wanted to confirm that the save location and the nature of how you do the backup still works just fine. This is validated against v1.2.11 @ 24th March 2018. 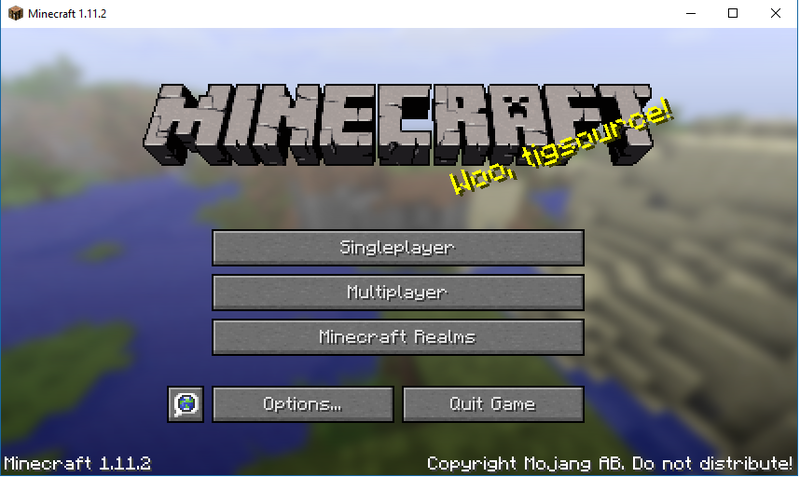 Check out the link above if you want to back up world in Minecraft: Java Edition on Windows 10. I should also clarify that this is about backing up the original version of Minecraft, which is now officially referred to as “Minecraft:Java edition”. It’s important to keep track of the updates and the changing nature of the game and its installs, with the 2 separate code bases. This is not about how to backup the new native Windows 10 app store version (known as bedrock edition). We’re now running the 2 versions in parallel, the original Java edition and the new Windows 10 native install. They happily co-exist together. The benefits of running the 2 in parallel are that my daughter can keep all her worlds from the Java edition and run various community mods, and then she can easily play online or in LAN party mode with the Windows 10 / bedrock edition, which can connect to other devices in the house (such as ipad etc) and which also has the official moderated online content and app store through her locked down Microsoft Family account. This post is based upon how to backup Minecraft worlds in Windows 10 Minecraft v1.11.2 @ 6th April 2017 – this post comes with no guarantees as to what the future of Minecraft backups maybe, and your mileage may vary! Do not move or delete other files inside these hidden directories as it may have cause unexpected behaviour! which is frankly a much better location naming convention than the previous one. If you’re not used to digging around inside of windows hidden files and folders, the above may make no sense to you, as it’s not a full path from the C drive. If you’ve not done this before, or you can’t find the appdata directory try the following. That’s it! If you want to restore any directories simply reverse the process, still ensuring that the application is closed whilst you do. In the same regard if you want to clean up the number of saved worlds at speed, rather than through the minecraft UI, you can simply delete any sub-directory and it will remove it from the start-up screen in the game. (My daughter had 256 minecraft worlds, most of which were unused and out of date, so we checked through them and then deleted loads. There are still some issues with naming conventions in that I found the title “New World” innumerable times, and the uniqueness of the naming convention was done by appending an ever increasing number of the “-” character to the end of the directory name. This appears to be down to the fact that if the player chooses not to explicitly name the world at start-up, the game is forced to just call it New World and differentiate it with a unique naming convention. If you’re trying to backup specific worlds, this can be difficult to identity: “Do I want to backup world with 46 “-” characters or with 48? To test this, I tried going into a random New World, and renaming it with a sensible name, like “globalgoat test 20170326”. Unfortunately it appears that this is just changed within the metadata inside the directory, it doesn’t change the directory name itself, implying this is set one time at world creation. However since the contents of the directory do change, the date stamp of the directory is updated, and you can use this to distinguish between multiple directories, if you are looking to identify specific ones.